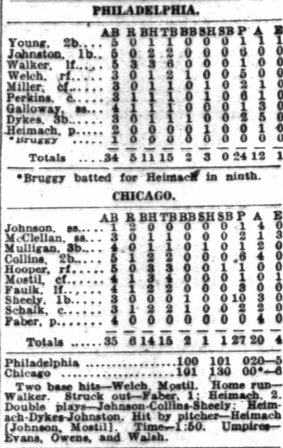 One of Farmer’s Merchants depositors, Hervey McClellan, had an unusual distinction on June 14, 1922, while filling in at shortstop after his Chicago White Sox teammate, and fellow bank customer, Ernie Johnson was hit by a pitch and left a game against the Philadelphia Athletics. The Sox, behind Urban “Red” Faber, took 6 to 3 lead into the eighth inning. 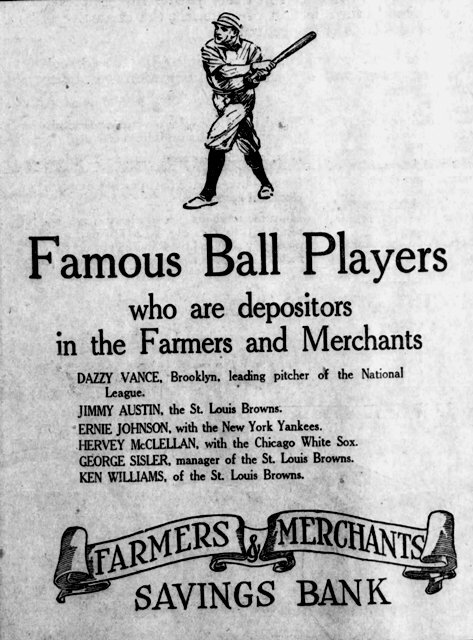 McClellan, who played six seasons with the White Sox, died a month after this advertisement appeared. He had been ill for more than a year, suffering from complications from two gall stone surgeries.